The Jury in the Erin Andrews negligence case against Marriott Hotels has just rendered its verdict, finding Marriott negligent and responsible for Erin Andrew’s injuries arising out of the peep hole video and awarding compensatory damages of $55 Million. This high profile lawsuit arose out of a horrible criminal act committed in 2008 when Michael Barrett was able to book an adjoining room to famous ESPN sports reporter Erin Andrews in the Nashville Marriott and then unscrewed the peep hole in the door adjoining the two rooms. This allowed Barrett to film Andrew’s intimate post-shower moments which he eventually uploaded onto the internet. The peep hole video has been viewed over 16 million times and continues to generate heavy traffic which Andrews alleges has caused her great physical and emotional trauma. Barrett was criminally prosecuted for his actions and went to jail for his crime. Nevertheless, because what makes it on to the internet can never truly be deleted, the product of his crime, the peep hole video, has remained easily accessible to anyone with a computer. Andrews filed a civil suit against both Barrett and the entity operating the Nashville Marriott. The Complaint against Marriott alleges that it was Negligent for failing to protect Andrews’ safety and privacy. As a guest of the hotel, Andrews asserted multiple safety violations including: disclosing to Barrett the fact that Andrews was staying in the hotel; allowing Barrett to book an adjacent room to Andrews without checking with her first; and failing to properly maintain the peep holes to prevent tampering. The law in Tennessee, like the law in Pennsylvania, provides that the Marriott owed a Duty of Care to its hotel patrons to act reasonably and to protect them from harm. This Duty of Care also included an obligation to warn and/or protect Andrews from foreseeable harm from other people in the hotel. Experts for both sides testified about security obligations and activities of the Marriott and, ultimately, the Jury found that Marriott was Negligent. The Jury apportioned the responsibility for the incident 51% to Barrett and 49% to Marriott which means that Andrews can only recover 49% of the $55 million from Marriott which is about $26 million. Because these Negligence principles also apply in Pennsylvania, if you or a loved one is injured in a hotel, store, restaurant, bar or other establishment as a result of the Negligent or even criminal actions of a third party like Michael Barrett in the Erin Andrews case, you may have legal claims for fair compensation. 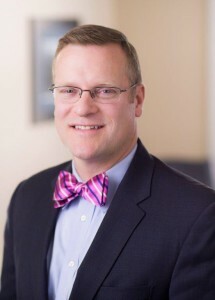 Tim Rayne is a Pennsylvania Personal Injury Lawyer with the Chester County Law Firm MacElree Harvey. Tim has law offices in West Chester and Kennett Square, Pennsylvania. For over 20 years, Tim has been helping injured accident victims receive fair treatment from insurance companies. Contact Tim Rayne at 610 840 0124 or [email protected] for a Free Evaluation of your Pennsylvania Personal Injury or Wrongful Death Case.